Universal Children’s Day was started in 1954 when the UN General Assembly recommended that all countries establish a Children’s Day as a way to promote the welfare of children around the world. It is unclear why June 1 was designated as International Children’s Day, but today is the exact day for kids only. After bidding farewell to Mother’s Day 2012, it is time for mothers to think of some International Children’s Day gift ideas to please their angels. Have you got any ideas? Celebrate this Children’s Day with some gifts, activities and more you can think of, no matter how the final purpose is to guarantee your angels a happy Children’s Day 2012. I have some good ideas to make this day meaningful, and of course your children gain fun from it. Children’s Day crafts/cards may be the most common gift you will send to your child, but this time you can make it a little bit different. You can gather your friends, relatives and their kids, and then making crafts together and sending to each other. What the difference of this activity is that not only kids build up capability of labor and intelligence, but also they enhance the awareness of mutual respect and reciprocal affection. To backup this memory, you can shoot video and upload video to YouTube to share your experience with other mums. In daily life later, you can also convert video to iPad and any other video players to recall the happy scenes. I suppose that you seldom spend time on movie appreciating with your kids. But you must know that seeing film with your children is one of the effective ways to dig out what is on their little brain. So on this special day, you can spend one or two or three hours on movie watching with your kids. Of course, the most important thing you should bear in mind is that the movie must be your kids’ favorite. There may be lots of Children’s Day movies in theaters, so asking your kids what they are fond of and share the film with them. After watching, you can ask them about the simple opinion on this movie and share your mind with them. Maybe it is a long time you and your family not see each other. So this is a good opportunity for you to hold a family gathering. When all kids gathering together, they communicate with each other, play games with each other, etc. You know that there is great fun when kids are playing together, and new ideas and thoughts will be sparked sometimes. You can also keep these happy moments and review in the following days. 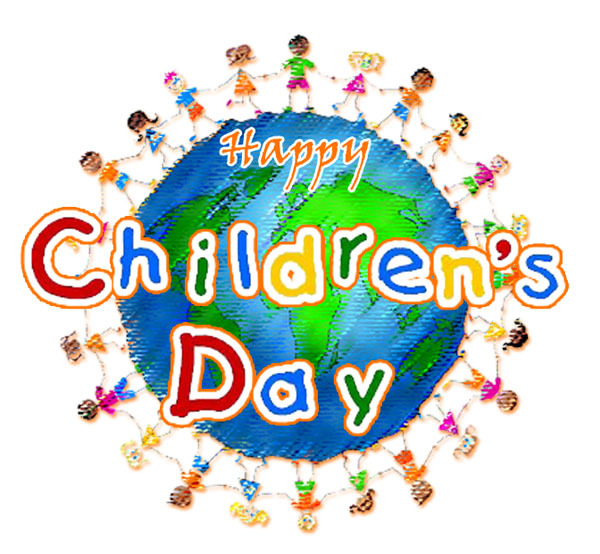 OK, I only want to sincerely wish you and your angels a happy International Children’s Day 2012.